Learn about one of our customers that has experienced business success as a result of our services. Steve Robinson, a carpet cleaner from Spokane, WA, has lived in the area for over 10 years and loves it. From the beautiful springs to the wonderful fall, Spokane has all that Steve wants! It is also home to his business, Heaven’s Best Carpet Cleaning, which he has been a part of for 16 years. Heaven’s Best is a franchise Carpet Cleaning Company. They have over 300 franchises in 4 countries. The company was started by Cody Howard, a man with a vision for a better carpet cleaning process. He brought Heaven’s Best to the Spokane WA, area in September of 2006. He has two employees that he keeps busy. Steve works on the business, while his employees do the carpet cleaning work. As with most business owners, one of the most difficult things that Steve faces is marketing. “I started my business in September of 2006, and by June the first phonebook came out, bringing my first 60 calls in one month.” Steve said. Little did he know that when starting the business, there were 160 carpet cleaning companies in the Spokane area. When he started, he was doing most of his advertising with coupons and phonebooks. “After the first year of phonebooks and coupons, I stopped seeing a return on investment. I was even paying $400 every other month to have exclusive rights with the coupon books, but it wasn’t working,” he commented. Steve from Spokane WA, and his family in front of the new Van. Yet, he pushed and persevered with his 5 year plan. By year two, however, the plan was put on hold when his wife was diagnosed with cancer. Luckily now, things look clear for their personal life. “The following month, I got a huge contract with the YMCA to clean their carpets every month, and it kept my business alive. It was really a blessing” he said. Since Steve wasn’t getting a decent return on investment he decided to go from coupons and phone books to online, and in 2012 signed up with EZ-NetTools for a new website and internet marketing. “Business before EZ-NetTools sucked. It was really horrible. The original company who the Heaven’s Best corporation was working with was crooked and it took me over 1 year to get changes on my website done. 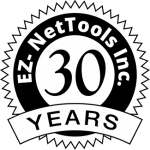 Soon thereafter, I got connected with EZ-NetTools as one of their first clients among the Heaven’s Best corporation, and things started to look up.” He commented. After one year with EZ-NetTools, things started to turn around. “I went from making $70k in revenue when I began, to now making $120k. In the last 3 years, I have broken $100k.” he said. Steve attributes his success to his online marketing. He has a website, facebook page, Google Advertising and more.